I've always loved a good denim skirt. My most worn item in college was a mini dark denim skort from Old Navy that I wore until it turned into a light denim skort (lol remember skorts? I kind of wish they would come back into style haha). 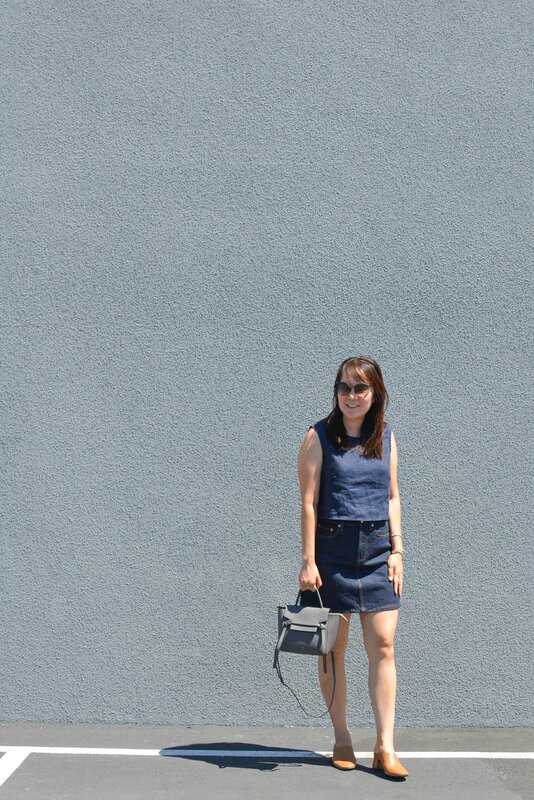 But sometime in my late 20s, I stopped wearing denim skirts. It might be because I went into the work force and wore more "professional" clothing or it might be because the denim skirt went out of style (or so says my much younger millennial friend--though I disagree). 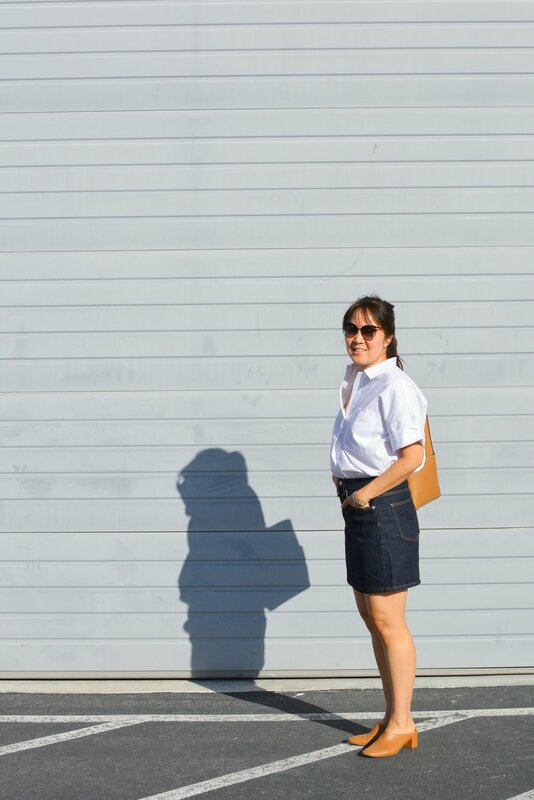 Anyway I'm just so glad Everlane has decided to their version of the denim skirt, from sustainable denim produced in Vietnam. The skirt fits true to size, with my usual size 28 fitting just right. I love that it's a high-waisted skirt so I can wear really cropped tops like the Elizabeth Suzann Petra Crop in the photos above. Also the skirt is a good length since I wanted something that wasn't too mini (I'm no where near college age after all). Since the skirt is 100% cotton there's no stretch to it, which I love! It really holds you in and helps to keep a slimming shape. Also the A-line shape of the skirt is really flattering and is great for someone like me who has thick thighs. Unfortunately I see that a lot of the sizes are out in the various colors (sorry for writing up this review so late, lol I'm still playing catch up with all my reviews!). If you live near an Everlane store I think you're still in luck since I saw them there when I visited last week. Or if you are a smaller size, they have plenty of those left. Otherwise I hope you can snag one on the secondhand market or petition Everlane to make more! P.S. As a lot of you guys pointed out, this skirt is definitely for short people. I'm 5'4" and find it the perfect length. I think any taller and it's going to be a very mini skirt on you!